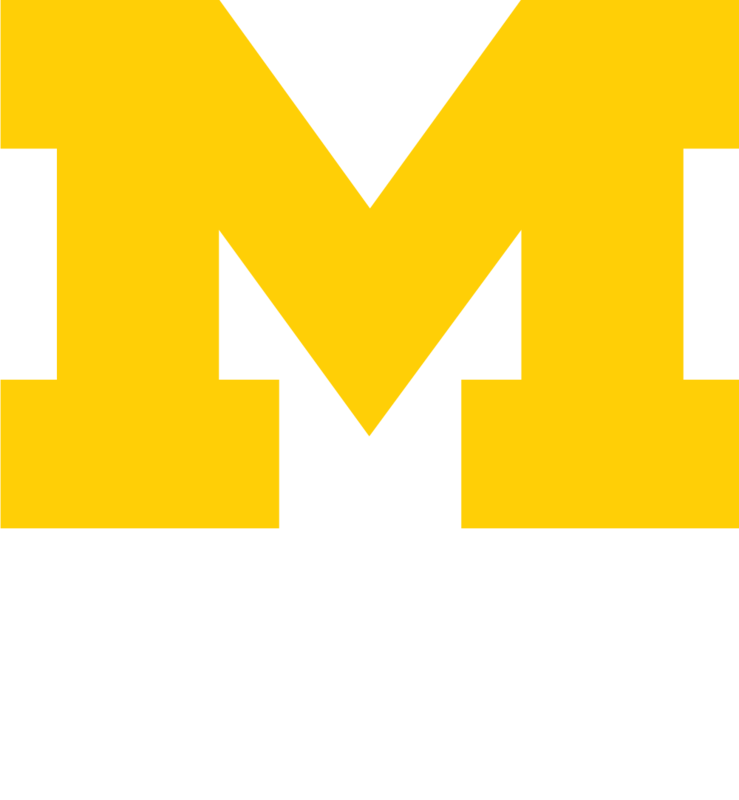 The University of Michigan offers a wide variety of resources and perspectives on campus climate and inclusive teaching. Below you’ll find links to campus organizations and units serving students, faculty, and staff to supplement the materials housed on this website. During New Student Orientation, ONSP employs a “Dosing + Follow-Up Interventions” strategy wherein they briefly introduce students to lots of resources and DEI-related concepts which are then followed-up on later in the semester. Unpacking identity: race, ethnicity, socioeconomic class, LGBTQ+, etc. Following the skits, students are provided with pamphlets and information about related resources on campus (i.e., SAPAC, CAPs, etc.). On Day 2, students attend a session called “Collaboration at Michigan” about working in diverse teams in the classroom. This sessions introduces students to microaggressions, making assumptions, bystander intervention, and acts as a precursor to Change it Up (see below)! AlcoholEdu + Haven, Relationship Remix and Change it Up! All first-year students at the University of Michigan are required to attend three different programs by the end of their first semester. During the month of August, students are required to complete online courses called AlcoholEdu and Haven, which provide strong educational foundations in alcohol and other drugs, sexual assault, healthy relationships, bystander intervention, and campus policies and resources. During the months of September and October, all first-year students attend Relationship Remix, a nationally recognized program that helps students understand key components around consent, communication, decision-making, sexual health, and healthy relationships. Participants reflect upon personal values, gain knowledge, and build skills in a safe and fun environment to help them navigate relationships and life at the University of Michigan. During October and November, students attend Change It Up!, a bystander intervention workshop that teaches students the skills needed to identify and respond to a wide array of harmful situations in order to increase inclusion and respect in their communities. The Center for Research on Learning and Teaching (CRLT) has an extensive list of online resources that define inclusive teaching and provide specific strategies for practicing it. In addition, CRLT provides links to blogs on inclusive teaching; resources for responding to difficult moments; and information about the CRLT Players, CRLT’s theater program that provides performances to spark dialogue about issues of diversity, inclusive teaching and learning, and institutional climate. CEAL promotes engaged academic learning through varied initiatives, including workshop and program-specific training for students working in local and global communities. CEAL also offers workshops on ethical approaches to community partnering, substantive reflective practice, and a wide array of professional and leadership development. One-on-one course design consultations as well as dedicated graduate student support are available for faculty interested in designing courses that bridge academic and community-based learning (CBL). CEAL also offers course design grants to support CBL pedagogical innovation. The University of Michigan’s DEI website provides information and resources related to DEI plans, resources, programs, research, news, and honors/awards. Through CommonGround, a program offered by IGR, trained undergraduate and graduate students facilitate interactive workshops that help promote social identity development and enhance group dynamics while building a community of social justice advocates on campus. CommonGround facilitates workshops about social identities (race, gender, socioeconomic status, etc. ), prejudice, stereotyping, power, privilege, and oppression, and are customized to your group or class’s needs. Michigan in Color is the Michigan Daily’s opinion section designated as a space for and by students of color at the University of Michigan. The Spectrum Center’s Education and Training team works with students, faculty, and community members to discuss best practices when creating and maintaining spaces open to LGBTQ+ identified individuals. They offer Basics of Gender & Attractionality and Allyhood Development Trainings and are happy to work with individuals to design a workshop, training, or panel that best meets the needs of their classroom or organization. In addition to all their services for students, Sweetland offers consultations and workshops for instructors and students across the University and assists faculty who are teaching multilingual students with resources and seminars. The Ginsberg Center supports faculty, academic program staff, and GSIs doing community engagement in the following ways: 1) by connecting with community organizations, 2) by preparing students for community engagement, 3) by designing or refining community-engaged courses, research projects, and programs, and 4) by assessing the impact of community-engaged courses, research, and programs. SAPAC promotes social change and activism on two levels: professional services serving the University of Michigan community and peer-to-peer student leadership development. The Office of Academic Multicultural Initiatives was created in 1988 as the result of the Black Action Movement (BAM) and United Coalition Against Racism (UCAR) student protests. OAMI works collaboratively with campus and external partners to develop strategic programs that provide students with resources, opportunities and experiences that enrich their academic, social, cultural, and personal development at the University of Michigan. One of OAMI’s initiatives is working with First Generation students, and the First Generation Project Manager is ADAN HUSSAIN, who can be reached at adanah@umich.edu. CAPS provides confidential psychological and psychiatric services for currently enrolled U-M undergraduate and graduate students in an atmosphere that is welcoming, comfortable, and multi-culturally sensitive. SSD supports the University’s commitment to equity and diversity by providing support services and academic accommodations to students with disabilities. The office shares information, promotes awareness of disability issues, and provides support of a decentralized system of access for students within the University community. Using the lens of race and ethnicity, MESA engages the campus community and transforms the student experience to build inclusive spaces and equitable opportunities for all. Trotter promotes a campus and community in which all students can prosper academically and socially, and provides services to build a supportive environment in which all students can develop a better understanding and appreciation for the multicultural diversity represented at the University. Sweetland is a comprehensive writing center that supports student writing at all levels and in all forms and modes, including: one-on-one tutoring in the faculty-led Writing Workshop and undergraduate Peer Writing Center; and support for all multilingual and international undergraduate students, in the form of credit-bearing courses, tutoring sessions, and peer-to-peer conversation groups. SLS is a full service law office providing legal advice and counseling on a wide variety of subjects including housing, criminal, family, consumer, and traffic law. SLS also litigates cases on behalf of U-M students. The International Center provides a wide range of services to international students, scholars, faculty, and staff at the University of Michigan, as well as to students from the U.S. seeking opportunities to study, work, or travel abroad. The Dean of Students Office is a central place where students, parents, faculty, and staff can get help to navigate complex issues, including support for student experiencing critical incidents and coordination of students safety education. OSCR provides a variety of programs and services designated to support a safe, just, and peaceful campus community. They can help Michigan students learn how to manage and resolve conflicts peacefully in the following situations (and more): conflict involving other students, sexual misconduct, conflict between faculty/staff and students, and off-campus conflict. The Ombuds Office offers a place where students’ questions, complaints, and concerns about the functioning of the university can be discussed confidentially in a safe environment. The Ombuds offers informal dispute resolution services, provides resources and referrals, and help students consider all options available to them. The University offers several types of assistance for students who experience unusual, unforeseen expenses while in school, such as: medical, dental, or mental health emergencies; major accidents/events such as fire and natural disasters; expenses related to the death of an immediate family member.